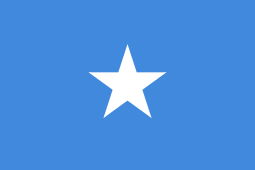 The Somali Rebellion was a civil war in Somalia that occurred in the late 1980s and early 1990s. The rebellion started in 1986 when Siad Barre began attacking clan-based dissident groups opposed to his rule with his special forces, the "Red Berets" (Duub Cas). The dissidents had been becoming more powerful for nearly a decade following his abrupt switch of allegiance from the Soviet Union to the United States and the disastrous Ogaden War of 1977-1978. When Barre was injured in an automobile accident on May 23, 1986, rivals within Barre's own government and opposition groups became bolder and entered into open conflict. Siad Barre's flight from the capital, on January 26, 1991, marked a distinct shift in the conflict. From that date until April 1992, fighting continued up until the arrival of the UN missions to Somalia (UNOSOM I and UNOSOM II). In the aftermath of the Ogaoden debacle, a group of disgruntled army officers attempted a coup d'état against the regime in April 1978. 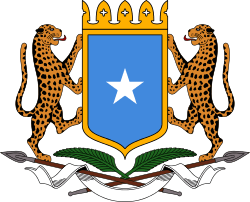 Their leader was Colonel Mahammad Shaykh Usmaan, a member of the Majeerteen clan, which resides mostly in northeastern Somalia. The coup failed and seventeen alleged ringleaders, including Usmaan, were summarily executed. All but one of the executed were of the Majeerteen clan. One of the plotters, Lieutenant Colonel Abdullahi Yusuf Ahmed escaped to Ethiopia and founded an anti-Siad Barre organization initially called the Somali Salvation Front (SSF; later the Somali Salvation Democratic Front, SSDF). The Red Berets systematically smashed the small reservoirs in the area around Galcaio so as to deny water to the Umar Mahamuud Majeerteen sub-clans and their herds. In May and June 1979, more than 2,000 Umar Mahamuud, the Majeerteen sub-clan of Colonel Ahmad, died of thirst in the waterless area northeast of Galcaio, Garoowe, and Jerriiban. In Galcaio, members of the Victory Pioneers, the urban militia known for harassing civilians, raped large numbers of Majeerteen women. In addition, the clan lost an estimated 50,000 camels, 10,000 cattle, and 100,000 sheep and goats. The Isaaq as a clan-family occupy the northern portion of the country. Three major cities are predominantly, if not exclusively, Isaaq: Hargeisa, the second largest city in Somalia until it was destroyed during the invasion of the Somali Army in May 1988; Burao in the interior was also destroyed by the military as was the port of Berbera. 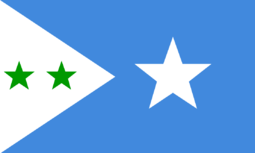 Formed in London on April 6, 1981, by 400 to 500 Isaaq émigrés, the Somali National Movement (SNM) remained an Isaaq clan-family organization dedicated to ridding the country of Siad Barre. The Isaaq felt deprived both as a clan and as a region, and Isaaq outbursts against the central government had occurred sporadically since independence. The SNM launched a military campaign in 1988, capturing Burao on May 27 and part of Hargeisa on May 31. Government forces bombarded the towns heavily in June, forcing the SNM to withdraw and causing more than 300,000 Isaaq to flee to Ethiopia. The military regime conducted severe reprisals against the Isaaq. The same methods were used as against the Majeerteen—destruction of water wells and grazing grounds. An estimated 5,000 Isaaq were killed between May 27 and the end of December 1988. About 4,000 died in the fighting, but 1,000, including women and children, were alleged to have been bayoneted to death. The Hawiye moved quickly to occupy the south portion of Somalia. The capital of Mogadishu is located in the country of the Abgal, the largest Hawiye subclan. Somalia's first prime minister after the trusteeship period, Abdullahi Issa, was a Hawiye; so was the trust territory's first President, Aden Abdullah Osman. The first General in the Somali Armed Forces, General Daud Abdullah Hersi, as well as the initiator of the October revolution in 1969, Brigadier General Salad Gabeyre, and the leading successor of Siad Barre, General Mohamed Farrah Aidid, were all Hawiye. Since the independence era, the Hawiye tribe had occupied important administrative positions in the bureaucracy and in the top army command. However, in the late 1980s disaffection with the regime set in among the Hawiye, who felt increasingly marginalized by the Siad Barre regime. Realizing with the south remaining stable, bringing down Barre's regime may continue for too long, SNM created SNM-South. From the town of Beledweyne in the central valley of the Shabelle River, to the town of Jowhar and in Mogadishu city, the clan was subjected to ruthless assault. Government atrocities inflicted on the Hawiye were considered comparable in scale to those against the Majeerteen and Isaaq. By undertaking this assault on the Hawiye, Siad Barre committed an extremely severe error: by alienating the Hawiye, Siad Barre turned his last stronghold into enemy territory. Faced with saboteurs by day and sniper fire by night, Siad Barre ordered remaining units of the badly demoralized Red Berets to kill civilians on a large scale. By 1989 torture and killing became the order of the day in Mogadishu. The Red Berets killed 450 Muslims demonstrating against the arrest of their spiritual leaders. More than 2,000 were seriously injured. The next day, forty-seven people, mainly from the Isaaq clan, were taken to Jasiira Beach west of the city and summarily executed. The July mass killings prompted a shift in United States policy as the United States began to distance itself from Siad Barre. With the loss of United States support, the regime grew more desperate. An anti-Siad Barre demonstration on July 6, 1990, at a soccer match in the main stadium deteriorated into a riot, causing Siad Barre's bodyguard to panic and open fire on the demonstrators. At least sixty-five people were killed. A week later, while the city reeled from the impact of what came to be called the Stadia Corna Affair, Siad Barre sentenced to death 46 prominent members of the Manifesto Group, a body of 114 notables who had signed a petition in May calling for elections and improved human rights. During the show trial that resulted in the death sentences, demonstrators surrounded the court and activity in the city came to a virtual halt. On July 13, a shaken Siad Barre dropped the charges against the accused. As the city celebrated victory, Siad Barre, conceding defeat for the first time in twenty years, retreated into his bunker at the military barracks near the airport. 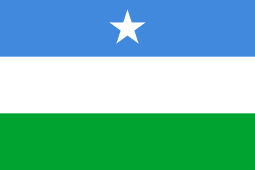 In 1991, the Somali National Movement declared the northwestern portion of the country independent. Although internationally recognised as an autonomous region of Somalia, Somaliland, as with neighboring Puntland, has remained relatively peaceful. ↑ Lacey, Marc (2006-06-05). "The Signs Say Somaliland, but the World Says Somalia". New York Times. Retrieved 2010-02-02.